BADC was the place to be! Cornell DanceSport once again attended Big Apple DanceSport Challenge (BADC) as the third competition for the semester. 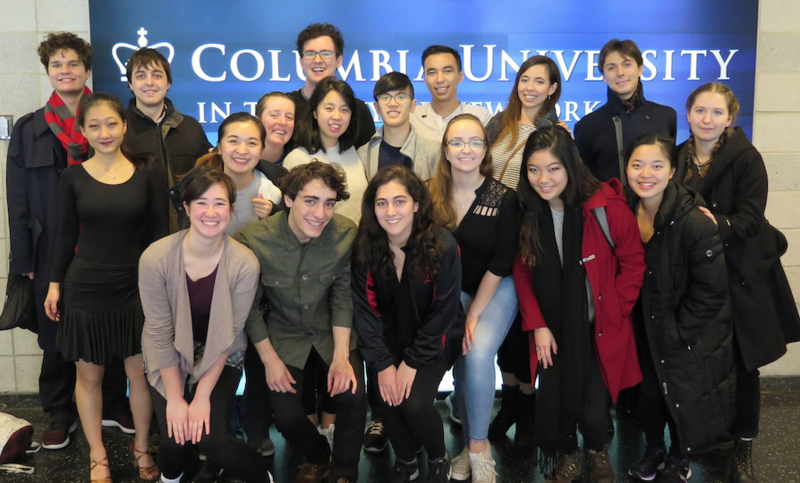 This is a massive two-day competition in the heart of New York City at Columbia University. This one is always a blast because the competition is massive, so we get to see lots of friends from other schools and studios! We even ran into three alumni: Cody Goldsmith (’17), Esther Foo (’16), and Ryan Bisbey (’16). Cody is currently studying at the Perelman School of Medicine at the University of Pennsylvania, and we caught him dancing Standard with his new partner Belinda Li. Esther is studying at the University of Minnesota, and we caught her dancing Latin with her partner Ziqing Lin. We didn’t catch Ryan’s Latin partner, but he is currently studying at the Massachusetts Institute of Technology (MIT)! 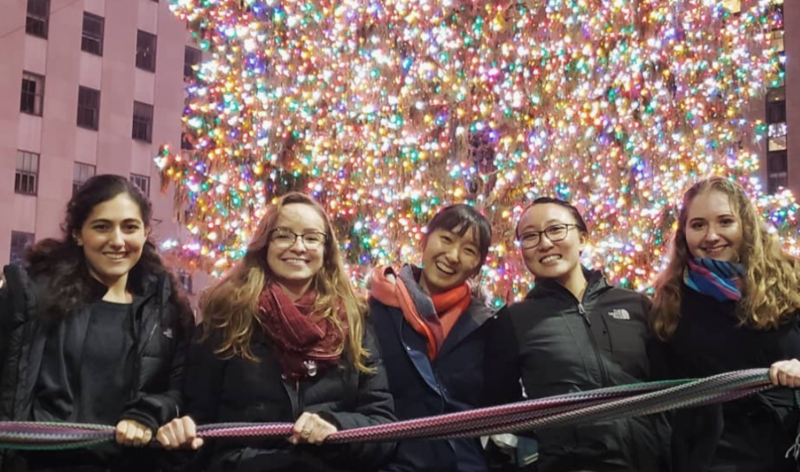 When we weren’t catching up with alumni, some of us were sneaking off into the city for pizza and family photos at the Rockefeller tree! Don’t worry, we made it back in time to watch the open level showcase. Some of us even stayed up until 1am to watch the whole show, despite getting up early to compete again on Sunday! Overall, we had a blast at BADC! We are very proud of how everyone performed, and we are especially proud of our newcomers for getting one full semester of ballroom under their belt!